It was a warm day when twenty-eight children filed out of their coach to meet us on the shores of Wast Water. Loaded up with packed lunches, tree-identification sheets and pens, and bursting with curiosity, they had a gentle introduction to the Wasdale Oak, picking it out on the steep screes on the opposite shore of the lake. Our day with the children was not a day beside the Wasdale Oak – it was a day beside the lake among many oaks and a selection of other trees, many of them ancient. We wandered beside the dark waters of the lake until we entered woodland, passing through a thicket of flowering rhododendrons and emerging beside a vast beech. The children soon discovered that the beech was ten-children-wide, and estimated that it was at least twenty-five-children high. The excitement of collectively hugging this magnificent tree was utterly contagious: everyone wanted to have a go and in the process became involved in the small life of the tree, wondering at the lives of the spiders and other wriggly things running in and out of the grooves of gnarled bark. Their enthusiasm around the tree was matched by the concentration they showed for two minutes of silence. They listened keenly. Grasshopper sounds were described as bicycle wheels, and the thud of oars from rowers in the lake like microphone sound. They were outside, and in deep. We walked on and lunched in a leafy grove dominated by oak trees. We found oak galls and talked about the wasps and the many species of invertebrates oak trees support. 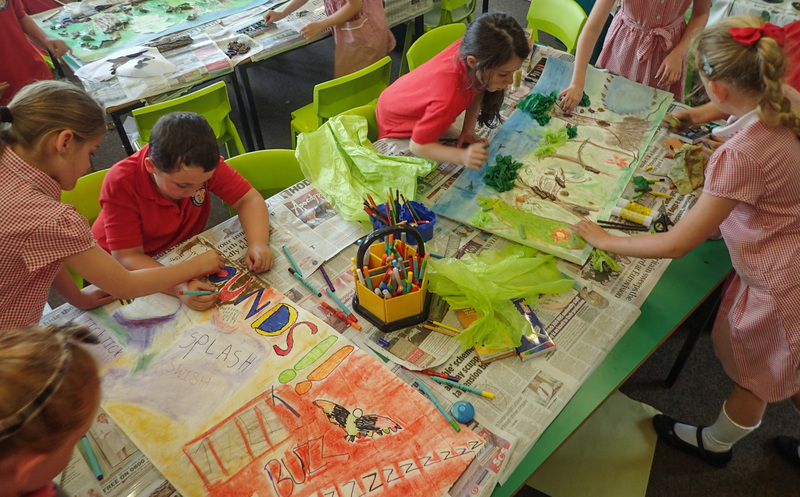 The idea that everything is interconnected fuelled some animated conversations, and the children held strong views about the value of art and poetry to draw attention to important issues. There was more tree hugging, identification of young saplings and older trees: ashes, silver birches, hollies and hazels. The day was a day of opening the senses, exploring and gathering experiences, focusing in with cameras, making notes. Some poems were penned in the shade of the trees, and were shared to the accompaniment of birdsong. 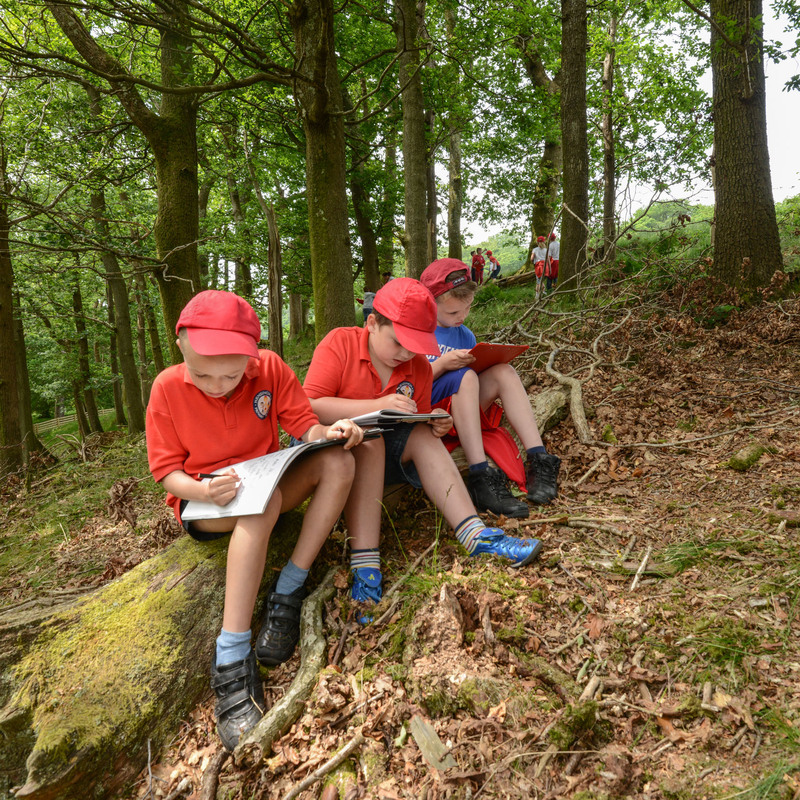 Back in the classroom the next day the children worked together to create a poem before working in groups to paint backdrops reflecting different stages of their journey: the resulting film is a celebration of the Wasdale Oak and all oak trees. “10 out of 10! They loved it. 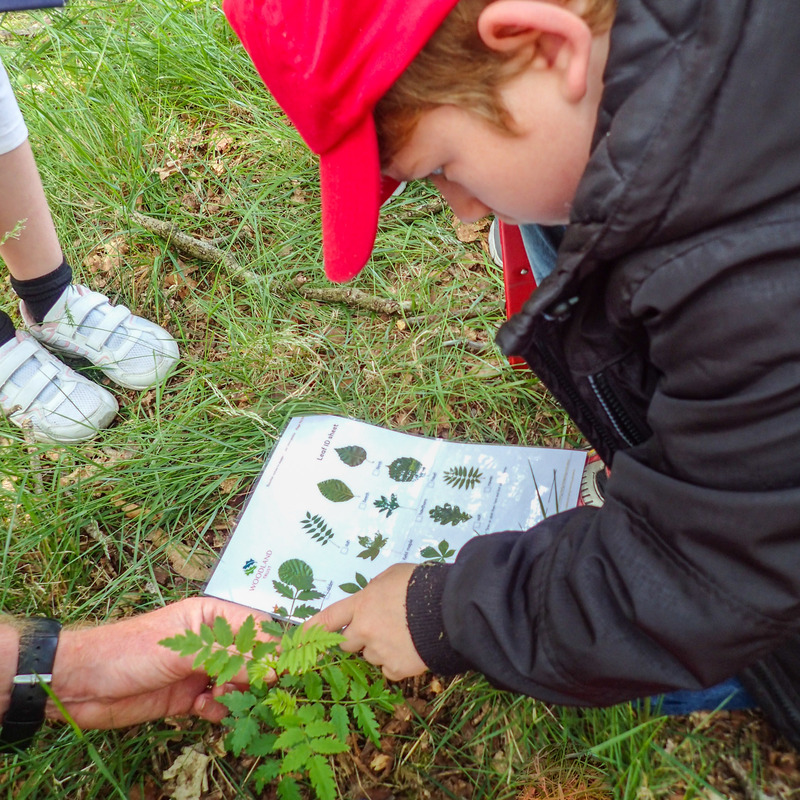 With the enthusiastic support of their teacher, Mel Kirkbride, the children have been learning more about trees and their local environment, and will be doing some planting in school. They have all qualified for the John Muir Discovery Award and are staying involved through their own Muir Missions. They have also added their tree stories to the stories we are gathering to add to the Tree Chartercollection. Dream of greens, unlimited trees. On dinosaur backs beneath the mist. Buzz buzz, swish sway, a whispering breeze. Sunlit leaves as high as birds can fly. Dark leaves mean like dragons’ teeth. Apples on oak, the insects’ inn. Oak Tree, Oak Tree, Queen of Trees.